I have no idea if this will be interesting to most of you, but at least a few people have asked to see some of the Project Life pages that I've been working on over the page few months. 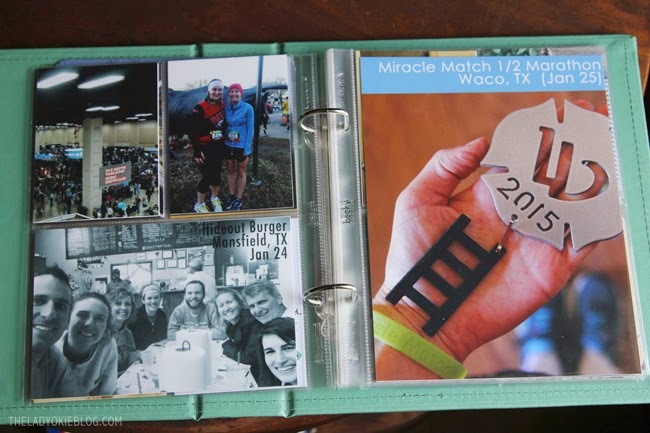 Scrapbooking is something I absolutely love doing (as you know from my post "Things I Like Doing (When I'm Not Blogging)," and it's been so fun to get out my supplies and put together something that's different than any kind of scrapbooking I've done before. 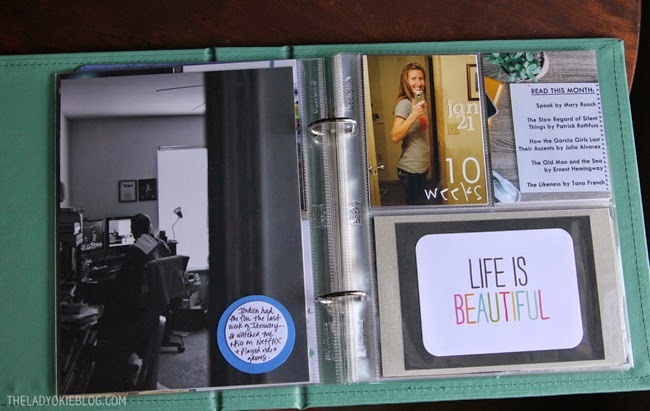 The original Project Life album was designed for a 12x12 size. Christina suggested I start out with a 6x8 because it's a more manageable size when you're just beginning. I definitely love the 6x8 and would recommend it if 12x12 sounds too intimidating. I spent way too long get inspired by the pages from other people, but at some point you just have to jump in. It's overwhelming at first, but it's so fun! Feel free to ask any questions, and I'll do my best to answer. ^^^ What are the honey nut cheerios about? Good question. I included those because so far in this pregnancy I've been going through boxes like crazy. Seriously, I can't get enough. ^^^ Remember that half marathon I ran in Texas with Tamara? 10-week-old Baby Bum was along for the ride! I printed that photo as a full 6x8 page. 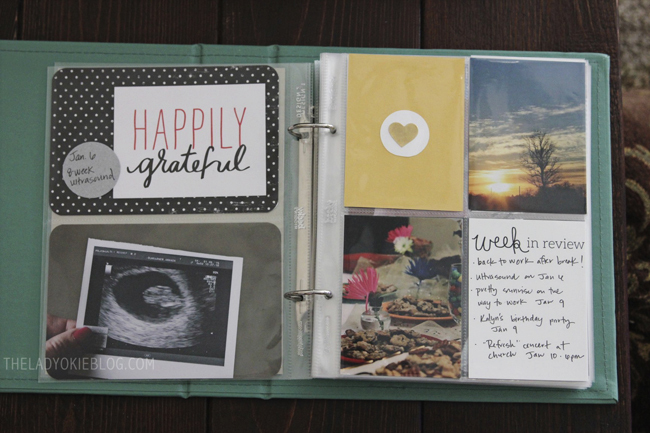 ^^^I'm already keeping a weekly pregnancy journal, so I decided it wasn't necessary to include weekly bump shots in my Project Life book. So far I've only included that week's picture if I also went to a doctor's appointment that week. ^^^I downloaded the quote card for free here. ^^^Each month's spread starts with a printed calendar and that month's Project 12 picture. I downloaded 2015 calendar cards here. Then I used Photoshop to cut out the calendar and paste in a different font (I'm not a huge fan of the original font on the cards). What do you think? 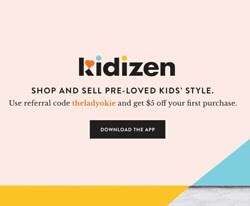 Have I sold you on Project Life yet? *This post is not sponsored by Project Life. I bought all this stuff myself and just wanted to share because I love it! Yay! I loved looking through all your pages! I plan to post an update soon on mine. I tend to get backlogged quite easily - but hey, at least the photos have been taken, haha! How are you feeling about it? Liking the month to month freedom? I do like the freedom of doing it month to month instead of by week. I think by week would be easier if I had an at-home printer. I am loving doing some scrapbooking again, but i can see how easy it is to get behind. I think it's very overwhelming at first with all the pages and protectors and albums, but once you just buy something and start, it comes together. this looks like a lot of fun & i love the idea of it! 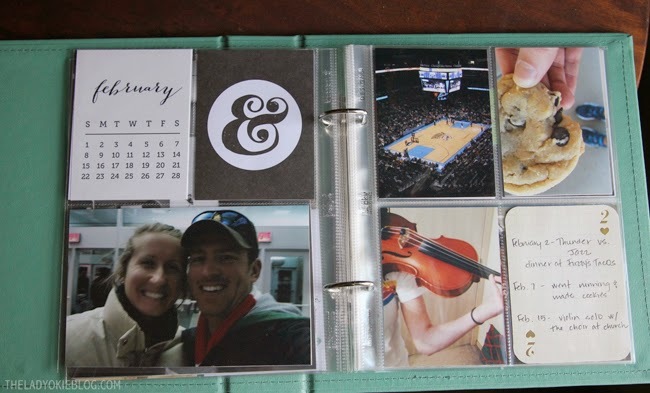 based on the fact that i've been married for almost 2 years & still haven't finished our wedding scrapbook.... i probably won't keep up with something like this though! ha! 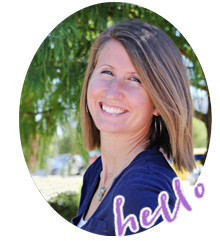 I know so many people who started their wedding book and never finished it :) You're not alone! That's part of the reason I basically ONLY worked on that for an entire year. I wanted to make sure I finished the whole thing! This is so neat! I like how you have done your pages. Super pretty! I can't wait to order my stuff. My biggest dilemma is deciding on what the heck to get! ah! The smaller book is perfect because it's overwhelming enough as it is. But it's so fun! 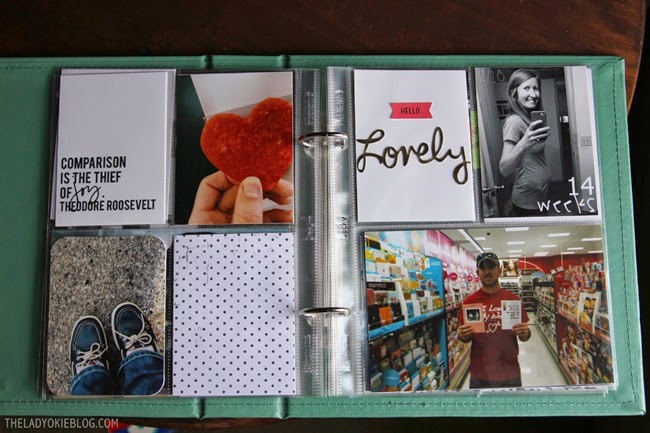 I think you would really like it if you love scrapbooking :) Start-up costs really is just the cost of the album and the page protectors, and after that it's just printing pics. I use all the paper and stickers I already own! love it. I have been meaning to do one of these for a long time. For me, getting the photos printed is the hardest part. Do you do yours at home? Good question. Printing photos is definitely the hardest part. Right now I don't have an at-home printer, but I really want to get one (maybe for my birthday?). I think that would make it a lot easier, and there are sites that explain how to print in different sizes. Right now what I do is put them on a thumb drive and get them printed at Walgreens every few weeks. Another option is to print them online. 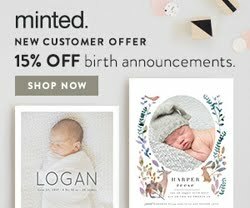 http://www.persnicketyprints.com/ <-- a really good quality printing place that caters to Project Life people and prints in various sizes. But that can get expensive with shipping and stuff. I guess what I'm saying is I don't have a good answer yet. I think an at-home printer would be the most time efficient, but a place like Walgreens is probably the cheapest. These are so cute and I really want to do it now! 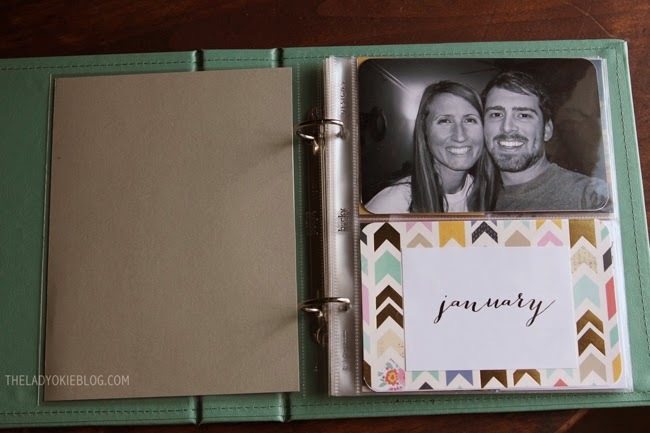 I'm a total scrapbook lover...I've been itching to get started on a project life one! I think I'm just going to have to jump in. Lookin' good!! I don't think I'd be good at maintaining a Project Life book myself, but I'm fascinated by them when other people are in charge. That is coming out so well! 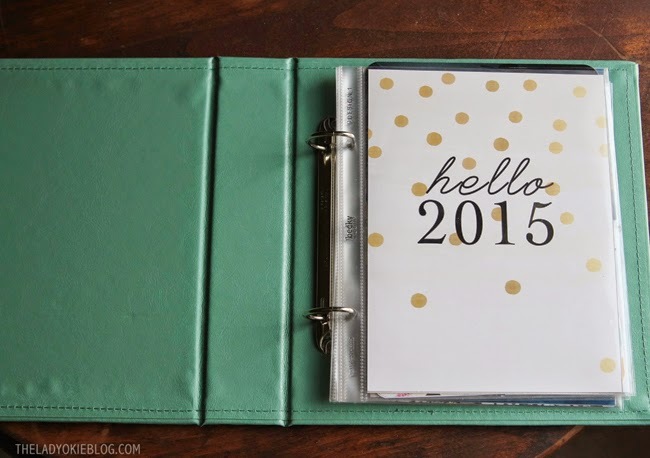 I don't know if I am that creative but it does look so pretty and a great way to catalog your year! I love this!!! So glad you shared it with us too :) SO many great pics! Thanks for sharing! I love scrapbooking, and I make one every year of the highlights. I usually don't start until towards the end of the year, though, and then it gets crazy. But seeing your Project Life, I think it would be really cool to do this to remember the little things, and to kind of keep it going all year. Thanks, I am definitely going to try this! Ohhhh! I LOVE THIS! This would be such a fun thing to flip through in the future with such a mix-match of different things! That looks really cool! 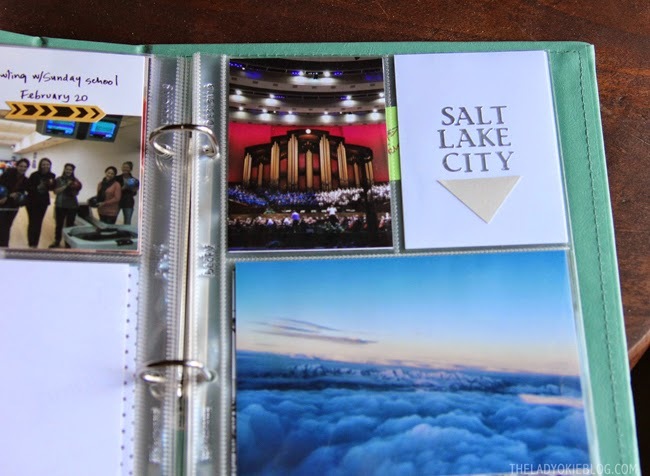 I was very much into scrapbooking for years--although I think project Life is newer than most of my scrapbooking days, because I've only ever seen this brand on blogs. A while before we moved, though, i finally accepted that my lifestyle doesn't fit the scrapbooking one well...having stacks of scrapbooks stored at my grandparents house so I can look at them every once in 4 years isn't ideal. :( I love looking through books of pictures, though. Pretty much the first thing Angel and I do when visiting friends is ask if they have any photo albums around the house, and look at their photos. Way, way more fun than clicking through a slideshow on the computer. It looks great and I will always be in awe of you Project Life enthusiasts, but I still feel a little too intimidated by the project for myself (at least for now!). Thanks for sharing it with us! 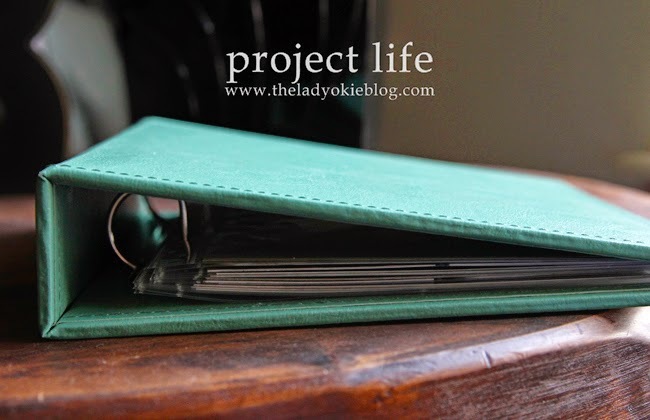 Project Life is my favorite! I also do it monthly. Every week just felt like too much pressure. I love being able to look back and see such minor details, where as when I made scrapbooks I only included the "big" moments. I am not sure how I missed this announcement but CONGRATS!!! 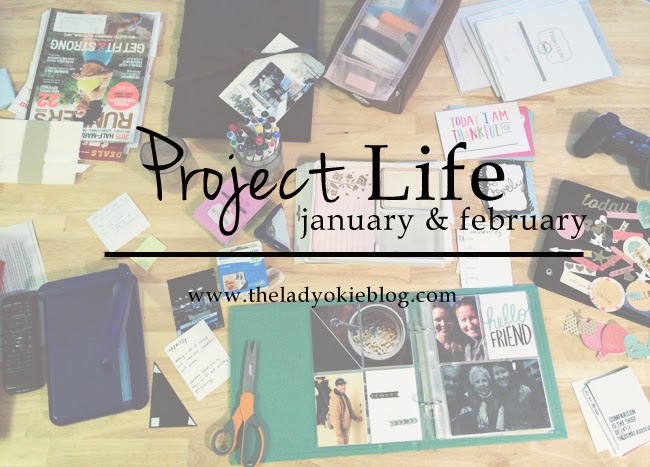 Also love that you are doing the Project Life, especially at this point! 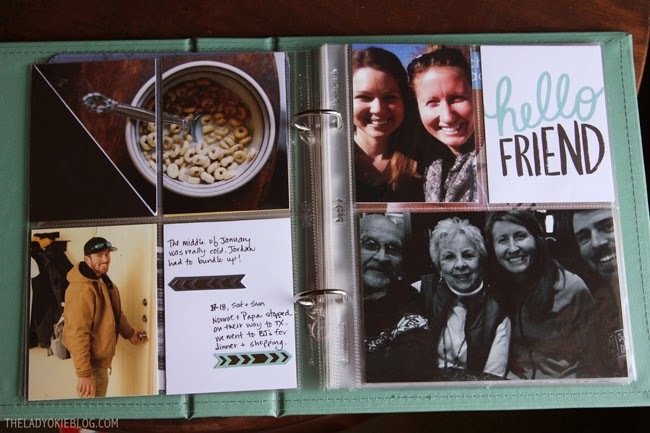 This looks waaaay less intimidating than an actual scrap book! Yet still fun to look through. The most intimidating part to me is the responsibility of actually having to print off pictures! I love Project Life! So far I've only been documenting the really "photo-worthy" moments like vacations and milestones, but I love the idea of doing a spread each week. I'm pitifully deadline oriented, so I feel like I might actually get it done if it were a weekly thing.... Your pages look great so far! I love this how it is turning out! You are so creative! I just wish I had the patience to do keep up with something like this! I have another question - Did you purchase a core kit or just print things off? They are kind of pricey! I wish I was in the USA for this because how fun would it be to have a 'Project Life' party and everyone could swap some cards? We might have to do that when I get back! Alright, I am going to start one of these. I get easily distracted and overwhelmed so I guess that might be my biggest concern on starting this (because I know Chris will kill me I add more stuff to the house). Do you find that to be true in your case? Also, where do you get your photos printed from? What are the prices? I love what you've been doing!!!! It's looking great! And you picked THE best time to start this project. :) Baby will love looking it through it someday! Very neat!! Yours are so great! Thanks for sharing!